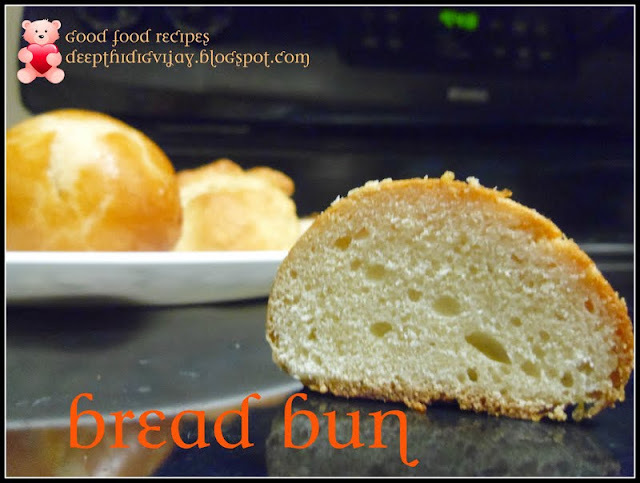 I just happened to see this recipe on some TV show one day and made it yesterday. It was really awesome and I am happy to share with you all, you will definitely love it. cheese of your choice- I used American cheese and suggest you to use shredded cheddar cheese. Fill the pot with 3/4th water and bring it to boil. Add 1/2tbsp salt and spaghetti. While the spaghetti cooks we will prepare sauce. it should cook in just 10min. Then you drain 1/2 of water and keep it aside with remaining water left in it so that spaghetti may not stick to each other. But, while serving remove entire water. Add 1tbsp of butter/olive oil in a medium heat pan and add 1tbsp of maida/wheat flour. Fry till it turns slight brown. Add 1 cup of milk and and keep stirring on a medium flame. Soon the mixture turns to a thick paste and to that paste add herbs, salt and pepper. Mix well and turn off the stove. Heat 1/2tbsp of oil in a pan and add garlic and vegetables if you wish and mix well. Finally add spaghetti when the raw flavor of garlic disappears. Now take a serving bowl and add spaghetti. Spread white sauce on top of it and sprinkle come cheese. 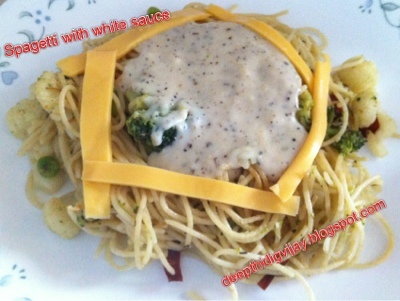 yummy and delicious white sauce spaghetti is ready. I suggest you to add mushrooms to this recipe, it gives an amazing taste to this recipe. Hmmm..that's the reason why my son does not want to marry a girl from India because she is going to be caged and depressed sitting at home helpless.By God's grace he has met someone there and hopefully everything will work out fine. My recommendation to you is just pray that your H4 visa comes through. BTW, your spaghetti looks delicious. Thank you all for your support!! Hoping that I'll get my visa soon with fingers crossed. @hamari rasoi..I got h4 but waiting for my f1 approval. I'll pray god that I should get my visa soon!